In all likelihood, you are absolutely critical to the success of your business. Without you, there is no business and no business value. With a little luck and a lot of hard work, we can help you become an Inconsequential Owner. Having said that, perhaps a bit of explanation is in order. All owners understand that they will someday leave the businesses they have created. Let’s assume for a moment that tomorrow you leave your business permanently. If you are an Inconsequential Owner, your exit will have no impact on the business, and that’s good for business value. 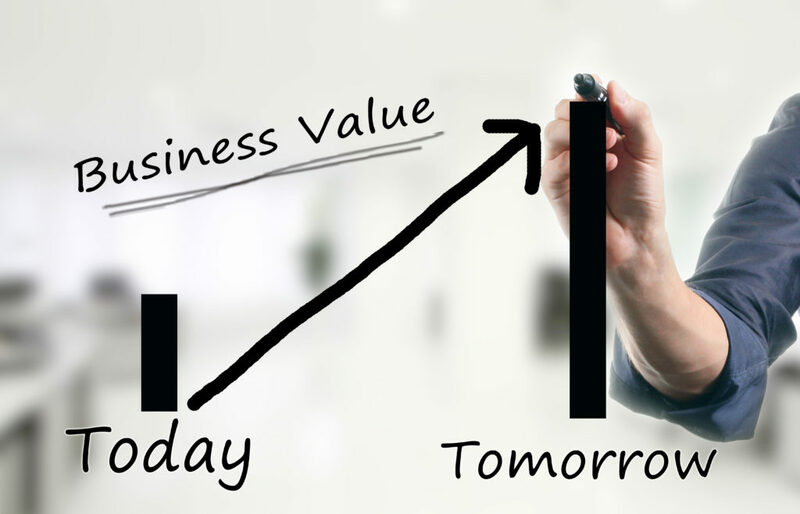 Buyers pay for business value—not for the departing owner. If you constitute a significant part of your company’s value (a/k/a a Consequential Owner), and you have left the scene, there will likely be few buyers interested in your company, and those who are will likely pay significantly less than they would had you been an Inconsequential Owner. Exit Planning is the process you can use to transform yourself into an Inconsequential Owner for your sake, for your family’s sake and the sake of your company. While perhaps not the most flattering label, it probably aligns with what your children have been telling you for years! For most owners, one of the first and most important things that “has to happen” after figuring out where you are (current business value) and where you want to go (your exit objectives) is to create and sustain business value. When we talk about value in the context of Exit Planning, we divide the discussion into three areas: Building Value, Protecting Value, and Minimizing Income Taxes. First we ask, “What do you, as the owner, need to do to create a successful company that can operate without you?” Topics include: 1) Develop a market focus; 2) Create a top management team; and 3) Understand the critical financial metrics. We’ll talk about protecting value from both internal and external threats. Instead of handling these threats as they occur, we’ll talk about the threats and how to avoid them before they happen. Topics will include: protecting propriety information and trade secrets; preventing employees from doing harm to the business when they leave (by taking customers, employees, business relationships, etc. ); and anticipating and evaluating outside threats to your company. The lifeblood of every business, and therefore its best indicator of value, is cash flow. Our discussion includes how to preserve cash flow and value from income taxation—legally, of course. Income taxes on the sale of your business interest can range from zero to over fifty percent. We hope you begin to appreciate that while planning and preparing yourself and your business for an ultimate exit may seem to be a daunting task, it need not be so. Indeed, if you approach the task systematically, you will use only small chunks of time and effort for a potentially enormous payoff.